What I'm Reading - B. Farrar, Ltd. 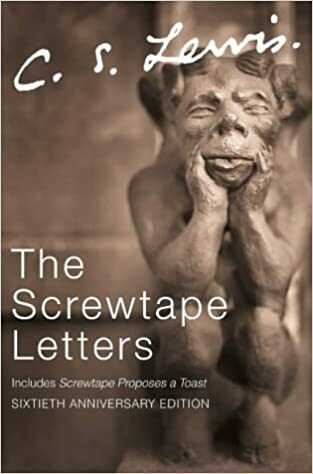 I revisit The Screwtape Letters every five years or so, and it seems like each time a different part of it smacks me upside the head. Which is a good thing, I guess--means I'm not stuck permanently in any particular sinful groove. I read this triology so many times in high school--it's holding up pretty well on reread 15+ years later. 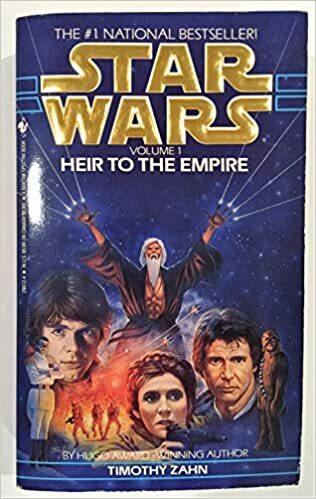 Honestly, my love for Zahn's version of the Star Wars future is probably why I never managed to muster much interest in the modern sequel cycle. They just can't hold a candle to Zahn's plots or ability to write the characters in continuity to their original movie selves. I'll be curious to see how much of this list I'd gotten through as of the end of August. Have you ever read anything by Lois McMaster Bujold? If not, given your enjoyment of Georgette Heyer, I would be willing to bet you would love her Vorkosigan novels! If you want the sequence (there are something like 15 of the) let me know. Yup! I've read most of the Vorkosigan novels at some point--I really enjoy the later ones where Miles has the role of Inspector General. I've read the dinner scene in "A Civil Campaign"--where Miles makes his disastrous proposal to Ekaterina probably 15 times, and I still laugh out loud at it! Yes! So funny. I could never bear to watch a film version of it, but in print it's hysterical. I actually got around to reading Georgette Heyer in part because of the Vorkosigan saga and that book in particular. Ha, yes. I've definitely gone through periods like that. But right now I'm making a somewhat organized effort to get through the accumulated pile of books on my "to read" list. It's slower going than I'd like, but I'm definitely making progress.